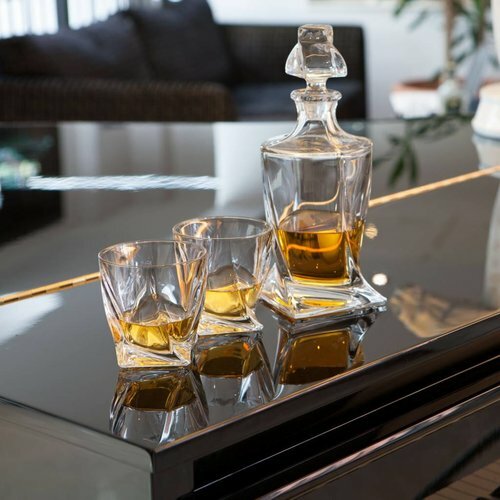 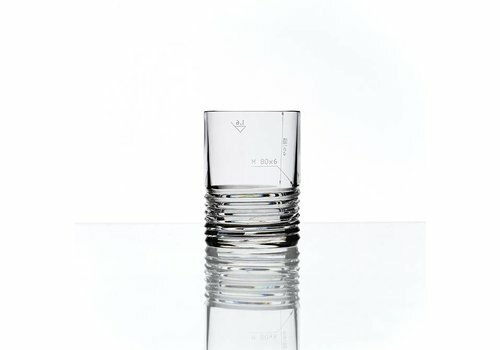 Whisky decanter with OF and HB tumblers are decorated by a deep spiral cut resembling the thread of a bolt.The combination of the finest crystal and the engineering symbols create an area for unique aesthetics. 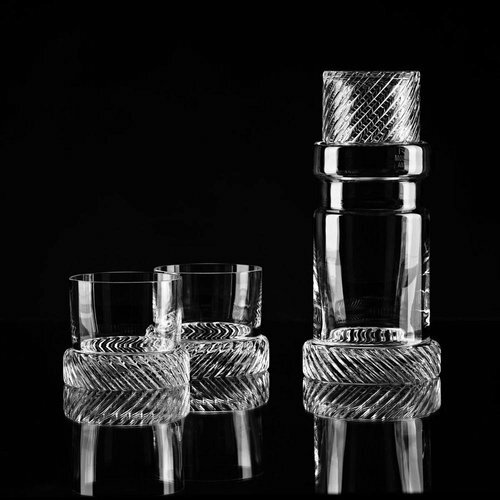 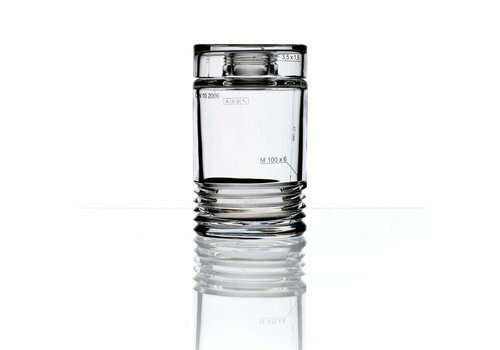 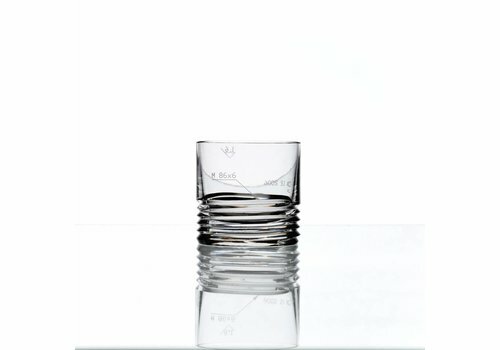 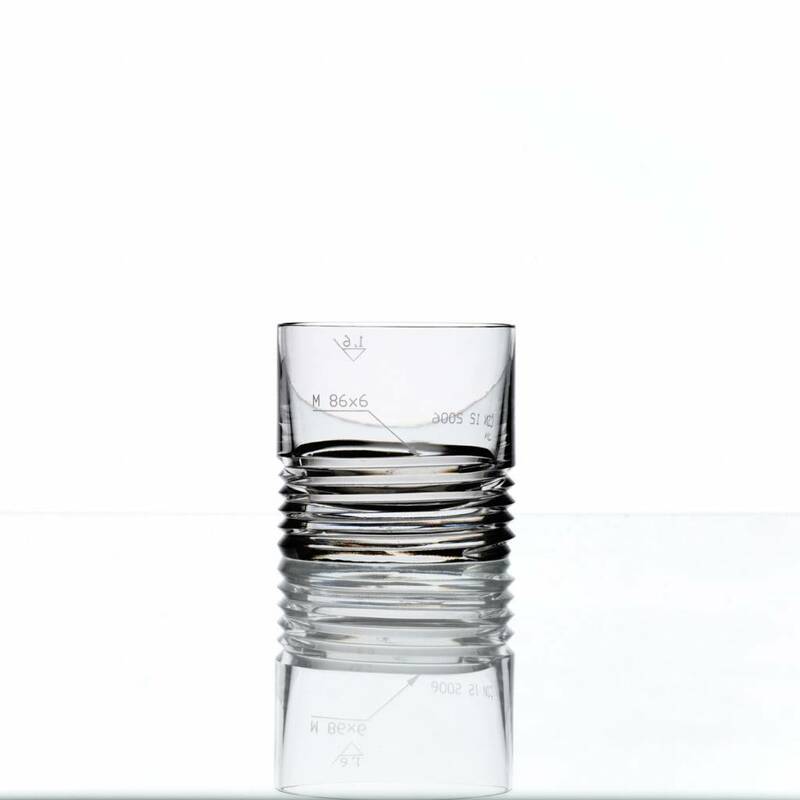 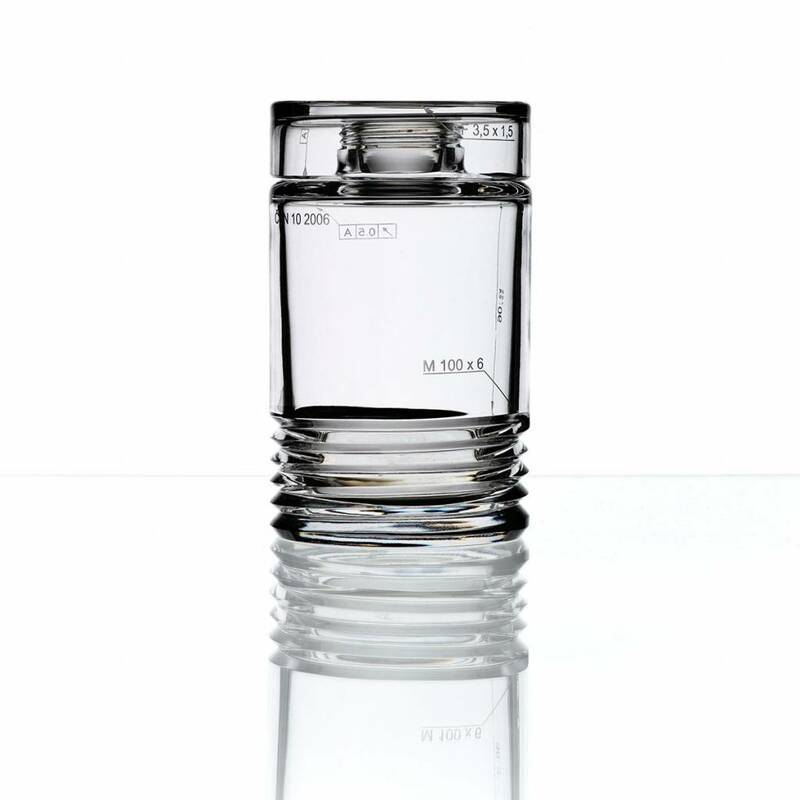 Whisky decanter with OF and HB tumblers are decorated by a deep spiral cut resembling the thread of a bolt. 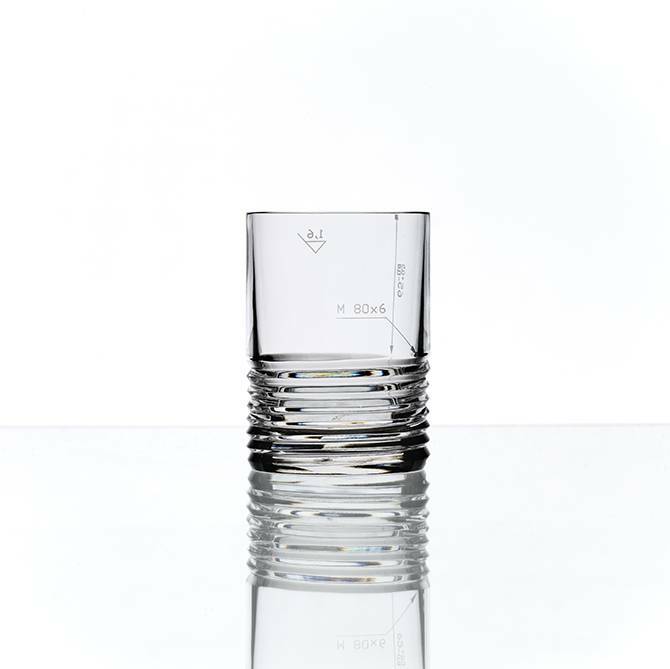 The technical details of their sizes in the sandblasted finish intentionally show engineering symbols hence lending its name to the entire collection. 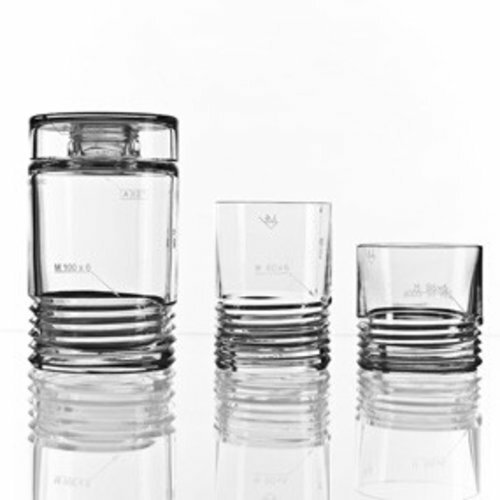 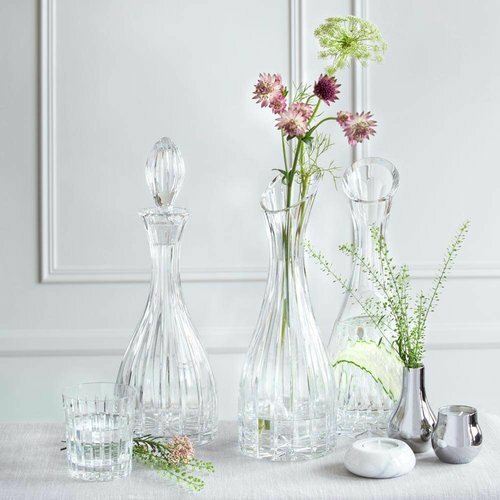 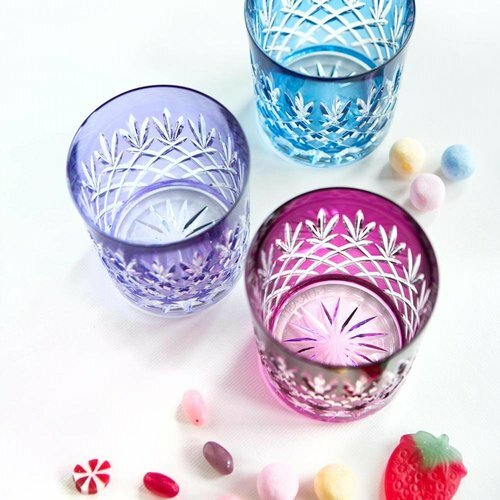 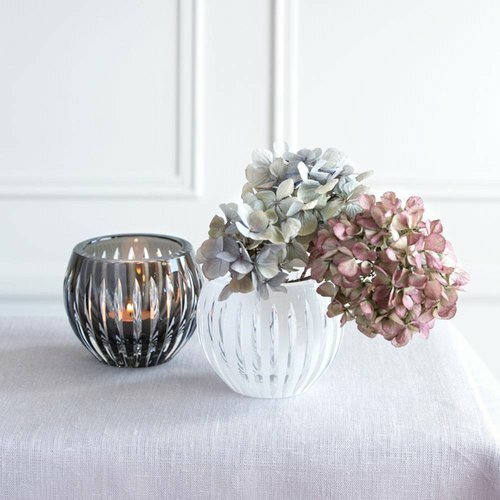 The combination of the finest crystal and the engineering symbols create an area for unique aesthetics, which can only be achieved by the classic cut and sandblast technologies.